Fran Wang via Caixin | China’s drive to boost the housing rental market is spurring the revival of plans to let companies offer real estate investment trusts (REITs) to the public. 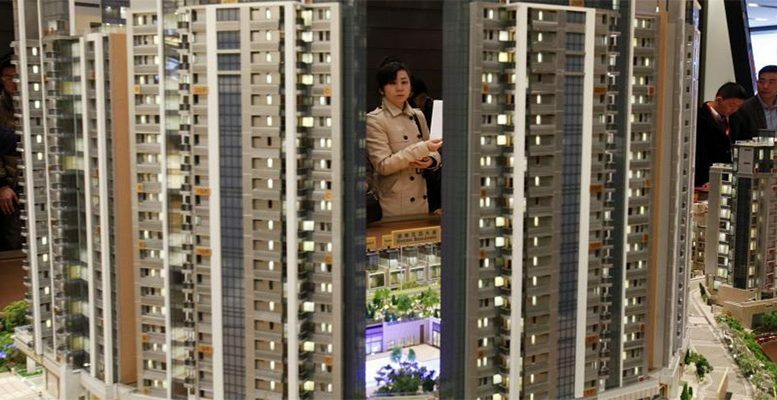 The China Securities Regulatory Commission (CSRC) is accelerating the drafting of rules that will allow REITs to be sold to individual investors, the Economic Information Daily, a newspaper owned by the official Xinhua News Agency, reported on Wednesday without citing anyone. Trusts whose underlying assets are privately owned and government-provided rental housing will be the first to get the green light, it said. A number of companies that manage rental apartments are actively communicating with the regulator over the issuance of securities, particularly REITs, backed by rental residential properties, the paper said. REITs are companies that own and operate income-generating properties such as apartments, offices, shops and warehouses. For property developers and investment companies, they are a way of securitizing their property assets and raising money. For investors, they provide exposure to the real estate market without having to buy property, offer a stable income stream in the form of dividends and the prospect of capital appreciation. Although the government has spent more than a decade researching the REIT market and preparing a legal framework to regulate the trust industry, it has yet to take the plunge. Plans were put on hold back in 2010 after the sub-prime mortgage crisis in the U.S. and subsequent government moves to regulate the booming domestic real estate market and control developers’ access to funding. Some real estate developers in China have launched quasi-REITs, trusts that have similarities to standard REITs but are governed by a different legal framework. These investments have been offered to institutional investors, but no such products have been sold to individual investors, the Economic Information Daily said. The People’s Bank of China, the central bank, gave the go-ahead in February for the first sale of a quasi-REIT on the interbank bond market, Industrial Wanxin Jiayue REIT Fund ABS. The reports that the authorities are speeding up work on a legal and regulatory framework for REITs came after the State Council, China’s cabinet, last year ordered local authorities to grow the country’s house rental market to alleviate a shortage of affordable homes in major cities and curb property price surges. In July this year, the government told local authorities in areas with net population inflows to provide more support for renting, including setting up government-backed rental platforms. Boosting the rental market is “a key measure to implement the policy that ‘homes are for living and not speculating on,” the Ministry of Housing and Urban-Rural Development said in a joint statement with eight other central government bodies in mid-July, referring to comments made by President Xi Jinping in December. Guangzhou in southern China, one of the 12 cities selected to carry out trial programs to boost the rental market, is testing a concept that involves developers bidding for plots of land on which to build housing. However, developers must bid on condition that they retain ownership of the development for the entire 70-year term of the land-use rights. They will also be limited to renting the apartments to tenants approved by the local government. REITs could become a key alternative funding source for rental apartment operators as they boost their expansion. Rental apartment operators in China raise funds mainly through bank loans, shadow banking, wealth management products issued by internet finance platforms, equity financing, and borrowing from shareholders, Guo Yonggang, a senior executive of state-owned ratings agency Golden Credit Rating International Co. Ltd., was quoted as saying in the Economic Information Daily. “These financing tools can raise only limited amount of cash, yet their costs are high,” he said.